ExtraDigital have been commissioned to redesign the Orbital Response website, re-optimising the design for increased conversion. 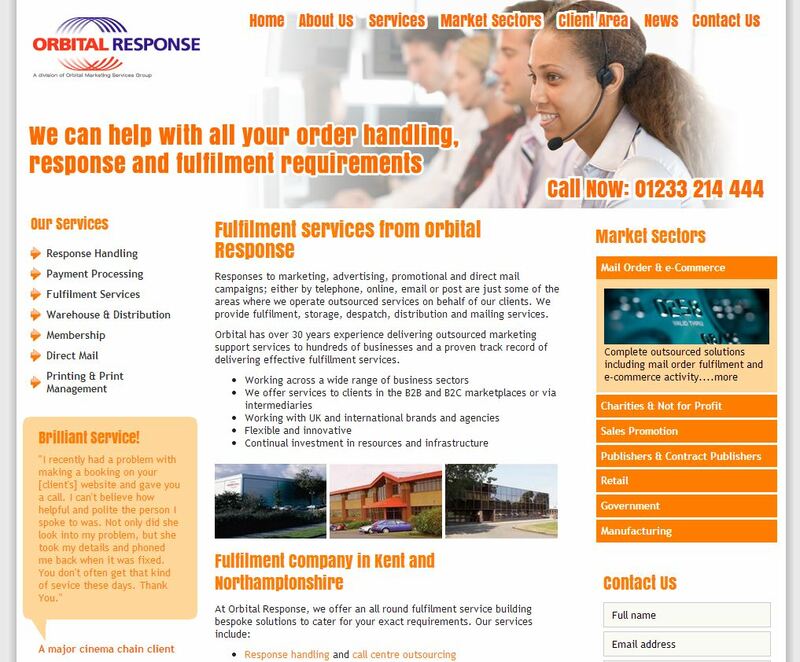 Orbital Response, a company under the Orbital Marketing Services group umbrella and owned by John Menzies PLC, are a leading fulfilment services provider with locations all over the UK. Approached to carry out the website re-design in November 2013, ExtraDigital will be redesigning www.orbital-response.co.uk to build upon the successes of 2013. 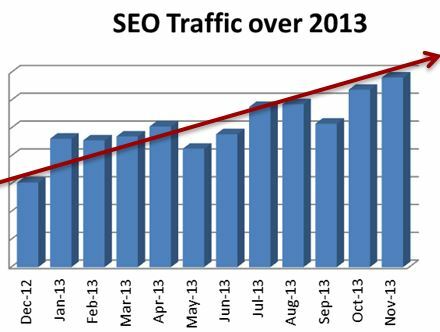 The website has had a positive year, with SEO traffic steadily on the increase (ExtraDigital also carries out the internet marketing for Orbital Response). We will continue to increase leads for Orbital Response, utilising a new design for optimised conversion. With the prominence of responsive design, the site will be redesigned to capitalise on mobile and tablet traffic as well as build upon the success of the desktop traffic. Added functionality is added with the ExtraCMS, which allows Orbital Response to analyse web leads directly from the CMS, for a more streamlined lead tracking system. As with most industries, aspects that worked a few years ago may not be as effective in modern times. The rise and fall of technology is well documented - such is the massively dynamic nature of web technologies. Companies need to stay on top of the latest trends in order to stay ahead of the competition. ExtraDigital have had a long term, fruitful relationship with Orbital, spanning way back to 2008. We look forward to producing some great, visitor converting designs to aid the business growth and profitability of Orbital Response. For more information about our web design services and how we can produce a design with internet marketing and traffic conversion in mind, get in contact with us today on 01227 68 68 98 or send us a contact form with your requirements.